Azerbaijani GM Shahriyar Mammadyarov jumped in the last World Chess Federation (FIDE) ratings for February 1, 2018. The national chess player climbed to the 2nd with 2,814 points. The 32-year old chess player is a two-time World Junior Champion and gold-medalist at European Team Championships. 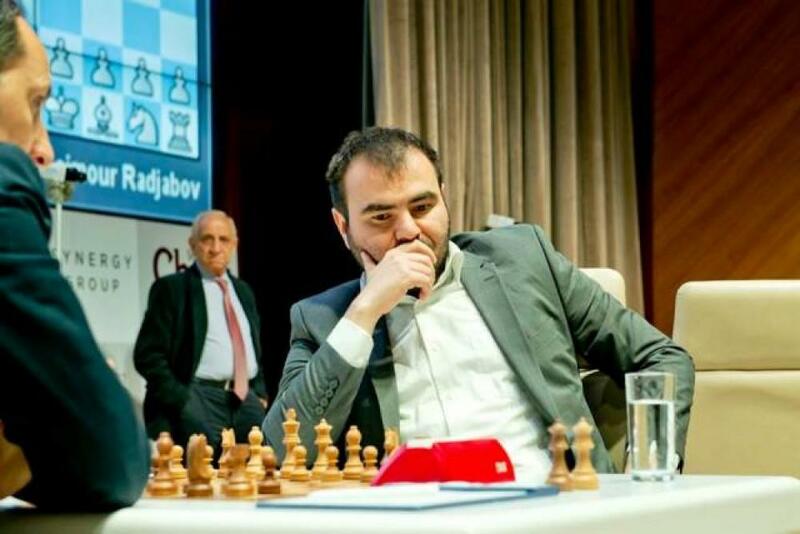 After winning Essent Tournament in 2006, Mammadyarov achieved the world fame. He was the best player at the World Team Chess Championships 2009. The national GM won the team gold medal for Azerbaijan at the European Team Chess Championship in 2009 and 2013. Shakhriyar represented Azerbaijan at the Chess Olympiads in 2000, 2002, 2004, 2008, 2010 and 2016. Teymur Rajabov is in the 18th in the ratings, with 2748 points. Teymur broke onto the world chess stage as a teenager, earning the grandmaster title just after his 14th birthday and scoring a stunning win against Garry Kasparov as a 15-year-old in Linares 2003, the first time in seven years Kasparov had lost a rated game with the white pieces. That game was also symbolic, as Radjabov was born in the same city as the “Beast from Baku” and grew up playing the same hyper-aggressive openings that Kasparov had championed in his youth. A regular participant in the European Team Championships since 2003, he led the Azerbaijani team to victory at the 17th European Team Championship (2009) in Novi Sad and in November 2011 to 2nd place at the European Team Championship (2011) at Porto Carras, Greece. Norwegian Magnus Carlsen remains the highest-rated chess player. In 2017, Azerbaijani men's chess team, including Shahriyar Mammadyarov,Teymur Rajabov, Arkady Naidich, Rauf Mammadov and Gadir Huseynov claimed a glorious victory in the history of national chess, becoming the third-time European champion during the last eight years.